With my home reconstructions over (Thanks God!!!!) and all the dust cleaned up (no kidding ….) here I am attempting to keep this blog up and going. 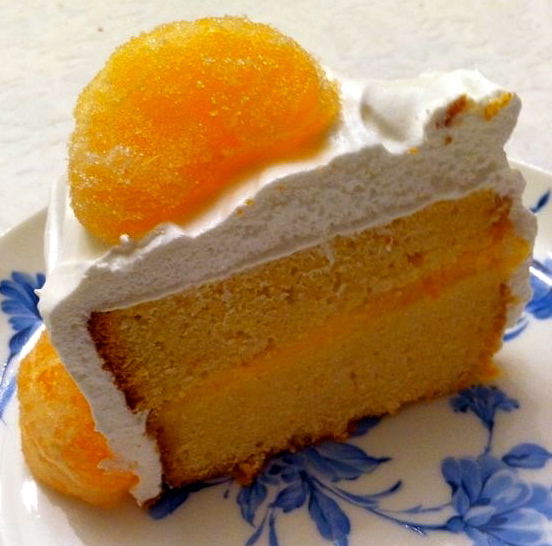 Coming back to food …. I don’t know about you but I love eating seasonal food. I think there is something special about having produce when it is supposed to be there. I love going to the supermarket and finding in the shelves what is in season. The feeling becomes indescribable when I am in my Asturias garden produce!!! I can tell you month by month what I eagerly expect. Blueberries in July, pears in October and rhubarb in April are my favorite by far. 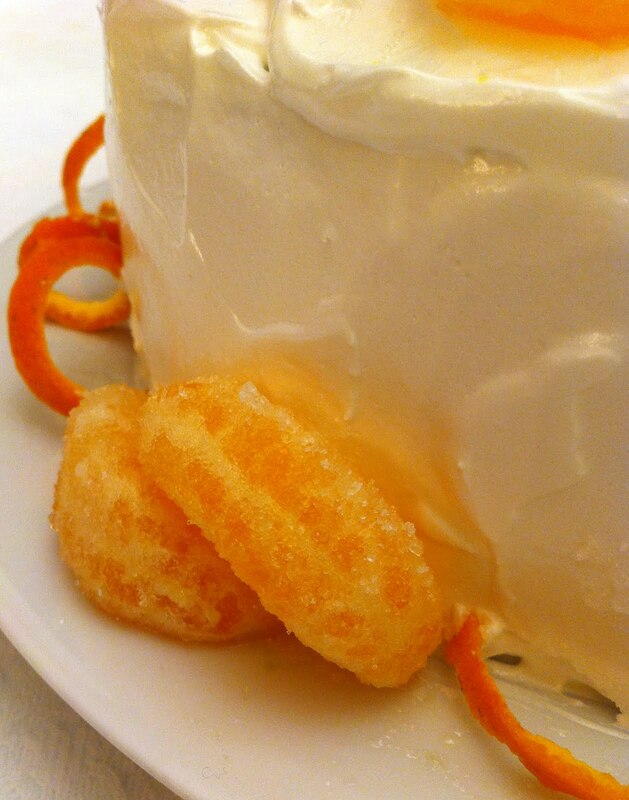 The cake is a Clementine cake. The recipe is from “Everyday Food”. The cake itself is just beautiful and tasty. I added a couple of things of my own to please my sweet tooth mother. I cut the cake in two layers that I soak in tangerine syrup. I also made a clementine curd as a filling changing a bit the lemon curd recipe. 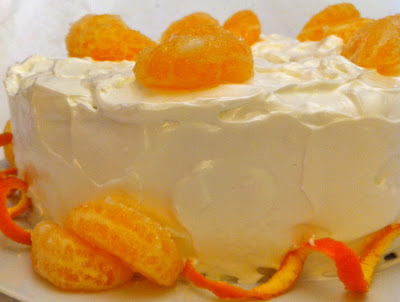 I covered the cake with Swiss meringue and garnished it with sanded clementine and peel. I highly recommend the cake!! Preheat oven to 350 degrees. Butter and flour a 12-cup Bundt cake pan. In a medium bowl, whisk together flour, baking soda, and salt. In a large bowl, using an electric mixer, beat butter and granulated sugar on medium-high until light and fluffy, 5 minutes. Add eggs, one at a time, beating well after each addition. Beat in tangerine zest and juice and liqueur. With mixer on low, add flour mixture in three additions, alternating with two additions yogurt, and beat to combine; beat in vanilla. Transfer batter to pan, smooth top, and firmly tap pan on a flat surface to remove air bubbles. Mariola´s Cooking Therapy by Maria Martinez Fernandez is licensed under a Creative Commons Attribution-NonCommercial-NoDerivs 3.0 Unported License. Please do not copy or reproduce my pictures. Ask for permision before coping them. Respect my work.